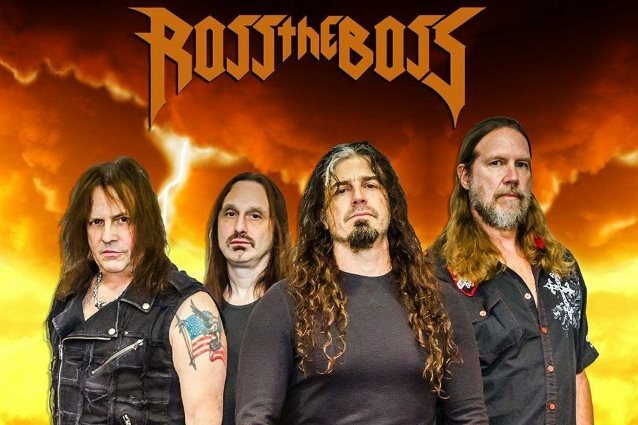 The new lineup of ROSS THE BOSS, the band led by former MANOWAR and current DEATH DEALER guitarist Ross “The Boss” Friedman, will perform at the Hall Of Heavy Metal History induction ceremony on Wednesday, January 18, 2017 at the Anaheim Expo Center in Anaheim, California. Joining Friedman in the group’s incarnation are SYMPHONY X bassist Mike LePond, former MANOWAR drummer Kenny “Rhino” Earl and LET US PREY vocalist Marc Lopes. ROSS THE BOSS will embark on the “Discipline Of Steel” tour in 2017, with European dates set to be announced soon. Lopes commented: “So I guess this makes it official. Yup, got myself a most METALLLLLLL singing gig with the legendary Ross Friedman — ROSS THE BOSS band, alongside Mike LePond from SYMPHONY X and Kenny ‘Rhino’ Earl, ex-MANOWAR. “We will be criss-crossing the globe in 2017 on the ‘Discipline Of Steel’ tour. Classic MANOWAR set starting at the Hall Of Heavy Metal History induction event in Anaheim, California on January 18th. “All dates will be announced soon. “My gratitude to all involved. I have no words, my friends. The Godz have blessed this dreamer. “I promise to deliver this classic material with the utmost respect to its source and with pure power and brutality. One of the great metal guitarists, Friedman first made his name with THE DICTATORS, before briefly teaming up with French band SHAKIN’ STREET. But in more recent times, he became renowned for his work with MANOWAR. A founding member, Ross recorded six albums with the band, before leaving after 1988’s “Kings Of Metal”. Since then he’s worked with MANITOBA’S WILD KINGDOM, BRAIN SURGEONS and THE SPINATRAS. Now he’s back doing what he does best — playing loud, true heavy metal with DEATH DEALER and ROSS THE BOSS. 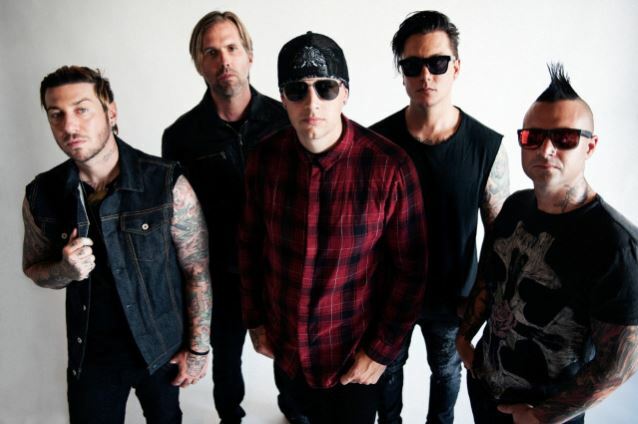 According to The Pulse Of Radio, AVENGED SEVENFOLD has posted a tribute online to long-running heavy metal magazine Metal Hammer, along with its sister publications Classic Rock and Prog magazine, following the news earlier this week that their parent company, Team Rock, had gone into the British equivalent of bankruptcy. Some 73 staffers have lost their jobs just before Christmas with no severance pay, with the future of the 35-year-old Metal Hammer and the other publications in doubt. The campaign, started by ORANGE GOBLIN frontman Ben Ward, has raised nearly $77,000 at press time, donated by over 2,700 supporters. The campaign has reached 309 percent of its initial goal of $25,000. A skeleton crew of just seven remains on duty at Team Rock while a team of administrators make a decision to sell, liquidate or restructure the company. Metal Blade Records, SCORPIONS and the Rainbow Bar & Grill have joined the list of metal royalty who will be inducted into the 2017 Hall Of Heavy Metal History next month. The all-star induction ceremony will take place on Wednesday, January 18, 2017 at the Anaheim Expo Center in Anaheim, California. Radio personality Eddie Trunk will host the event. Performing at the ceremony will be DIO DISCIPLES featuring Craig Goldy, Simon Wright, Scott Warren, Bjorn Englen, Tim “Ripper” Owens and Joe Retta. 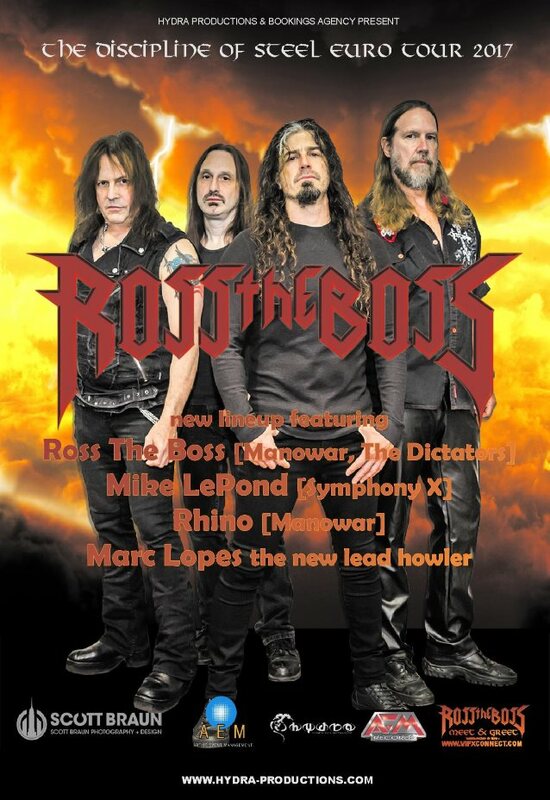 Former MANOWAR guitarist Ross “The Boss” Friedman will perform with his solo band, which features drummer Rhino (formerly of MANOWAR), vocalist Marc Lopes and bassist Mike LePond (SYMPHONY X). Surprise artists will also take part in the event. Support bands include BUDDERSIDE and L.A. rockers DIAMOND LANE. * Frankie Banali (QUIET RIOT) (along with a special 33rd anniversary induction of QUIET RIOT, as the first heavy metal band to achieve the No. 1 album status on the Billboard chart). A press conference and general admission entrance will commence at 6:30 p.m. The induction ceremony will take place from 8:00 p.m. to 9:00 p.m.
A VIP meet-and-greet with the celebrity inductees will take place after the induction ceremony. Ross The Boss, BUDDERSIDE, DIAMOND LANE, and surprise guests will perform throughout the night. Music fans can be a part of the most important night in heavy metal! Tickets are $25.00 for general admission, and $100.00 for combined general admission and VIP meet-and-greet with the celebrity inductees. VIP ticket includes special VIP seating, pictures and autographs with the celebrity inductees, gift bag with an official VIP pass, an official event poster, an official event t-shirt, an official event program, and additional sponsor items. For tickets, go to www.thehallofheavymetalhistory.org/store. 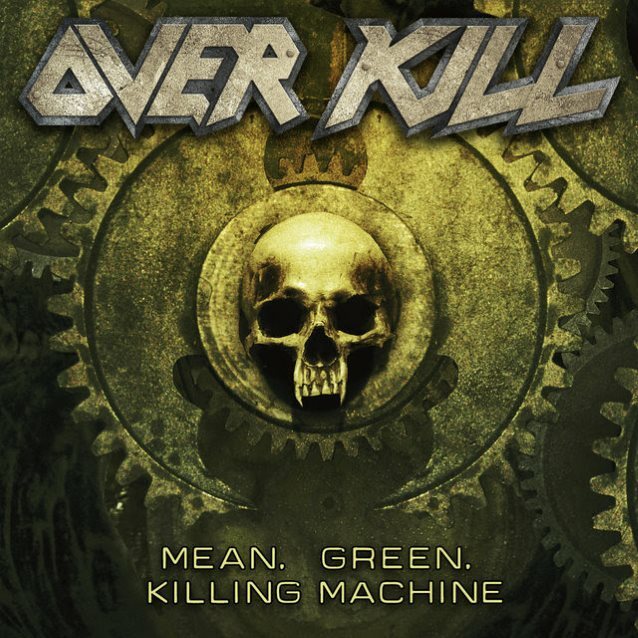 The official lyric video for the song “Mean, Green, Killing Machine” from legendary New Jersey thrashers OVERKILL can be seen below. The track is taken from the band’s eighteenth album, “The Grinding Wheel”, which will be released on February 10, 2017 via Nuclear Blast. 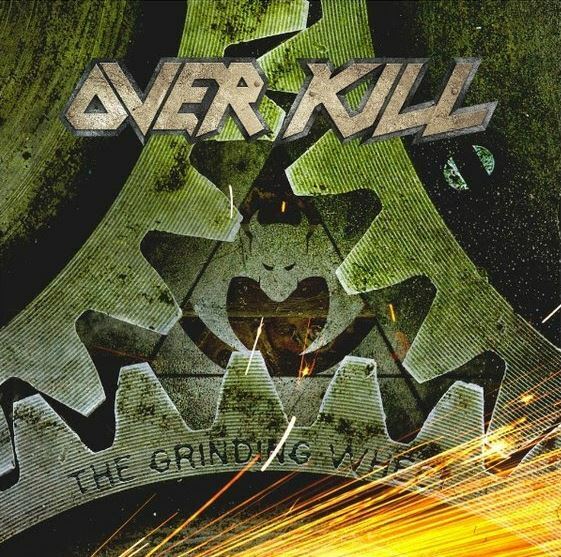 “The Grinding Wheel” was produced by OVERKILL and mixed by Andy Sneap (MEGADETH, EXODUS, ACCEPT). The artwork was created again by Travis Smith (NEVERMORE, OPETH, SOILWORK, DEATH). Pre-order “The Grinding Wheel” digitally and receive “Mean, Green Killing Machine” and “Our Finest Hour” as instant-grat tracks. 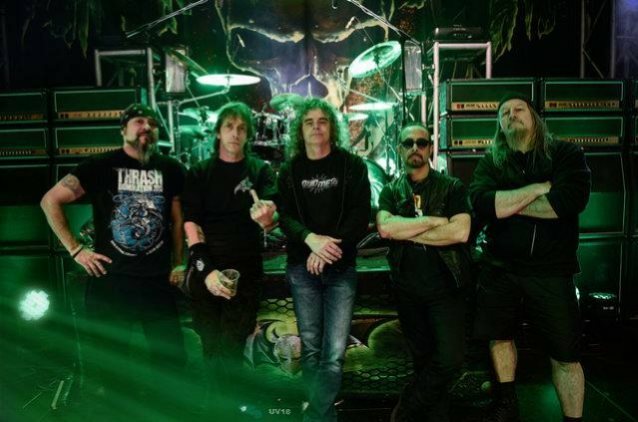 OVERKILL and NILE will join forces for a U.S. tour in February/March 2017. ORANGE GOBLIN frontman Ben Ward has launched a fundraising campaign for employees of U.K. music media company Team Rock. Ward started the campaign after news broke yesterday (Monday, December 19) that more than 70 members of staff were laid off with no severance pay. Team Rock‘s titles and brands include Classic Rock, Metal Hammer, Prog, the Golden Gods Awards and the Classic Rock Awards. Team Rock was founded in 2012 and the business acquired the Classic Rock, Prog and Metal Hammer magazines from Future Publishing in 2013 in a £10.2 million deal. The business had grown to a staff base of 80, with 31 based in Glasgow and 49 based in London. A handful of staff have been retained to assist the administrators, with all other employees let go. According to The Scottish Sun, staff at the South Lanarkshire-based company said they had to watch the office locks being changed as they were told the devastating news. According to the Daily Record, most recent accounts filed by Team Rock Ltd covering the 2015 year to March 31 show the business booked a pre-tax loss of £8.8 million, having booked a pre-tax loss of £4.3 million the prior year. The company ended the 2015 year with net debts totalling £11.7 million, up from £5.9 million the prior year. Team Rock generated sales of £6.5 million in the 2015 year, down from £7.5 million in 2014 and administrative expenses ballooned to £12.4 million, up from £9.3 million in 2014. Classic Rock had a monthly circulation of 50,219 the last time it was audited by ABC in 2015 and Metal Hammer stood at 20,961. PEARL JAM, JOURNEY, YES and ELECTRIC LIGHT ORCHESTRA are among the 2017 inductees into the Rock And Roll Hall Of Fame. Also being inducted at next April’s ceremony will be folk legend Joan Baez and the late hip-hop star Tupac Shakur. CHIC‘s Nile Rodgers will be given the Award For Musical Excellence. 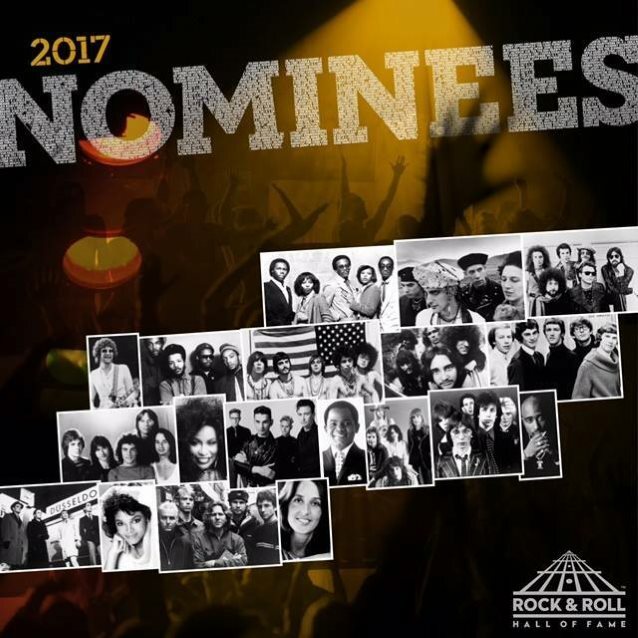 The 32nd annual Rock And Roll Hall Of Fame induction ceremony will be held on April 7 at the Barclays Center in Brooklyn, where it will be held for the third time. An edited version will later air on HBO and there will be a radio broadcast on SiriusXM. Ticket details will be announced in January. YES‘s induction, following two previous nominations, will occur one year shy of the legendary progressive rock band’s 50th anniversary. The members of YES who will officially be inducted into the Rock Hall are the “Union” tour lineup: current members White and Howe, the band’s late bassist and founding member Chris Squire, and former members Jon Anderson (vocals), Bill Bruford (drums), Tony Kaye (keyboards), Rick Wakeman (keyboards) and Trevor Rabin (guitar). In addition to Steve Howe and Alan White, YES‘s current lineup includes Geoff Downes (keyboards; first joined in 1980), Jon Davison (vocals since 2011) and Billy Sherwood (guitar/keyboards in the 1990s and Chris Squire‘s choice to take over bass/vocals in 2015). PEARL JAM will be the second of the seminal Seattle “grunge” acts — after NIRVANA — to enter the Hall. Two others, SOUNDGARDEN and ALICE IN CHAINS, are also both eligible for induction. 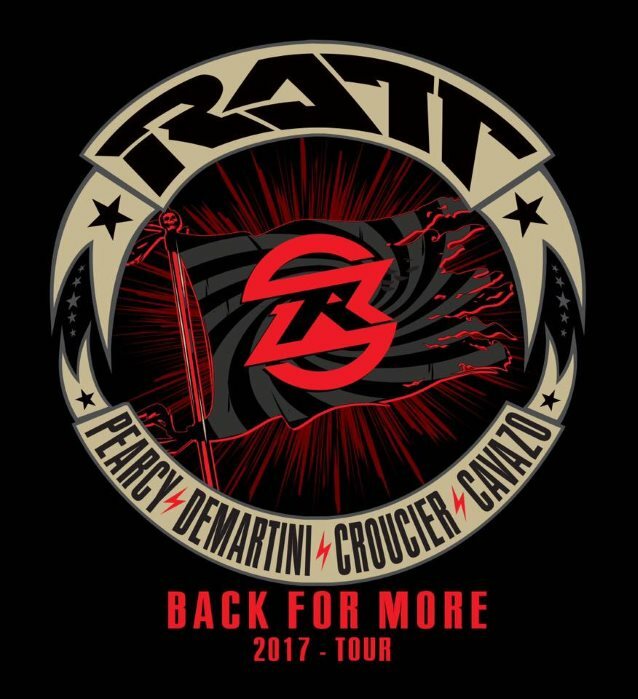 The newly reunited RATT — featuring singer Stephen Pearcy, bassist Juan Croucier and guitarist Warren DeMartini — has begun “writing and recording song roughs” for a new studio album, according to a post on Pearcy‘s Facebook page. In addition, the band — which also includes former QUIET RIOT guitarist Carlos Cavazo, who played on RATT‘s last studio album, 2010’s “Infestation” — will embark on the “Back For More” tour in 2017, with the first confirmed date being the previously announced appearance at next year’s edition of the M3 Rock Festival, set to take place on Friday, April 28, 2017 and Saturday, April 29, 2017 at Merriweather Post Pavilion in Columbia, Maryland. At the end of last month, DeMartini, Pearcy and Croucier issued a press release claiming that they had taken control of the band’s name after a judge ruled against drummer Bobby Blotzer with respect to whether Croucier had committed trademark infringement by using the RATT name and logo to advertise his band RATT’S JUAN CROUCIER back in the fall 2015. The judge furthermore decided that the corporation WBS, Inc., of which Blotzer and DeMartini were thought to be the sole shareholders, and which Blotzer had claimed owns the RATT name and brand, did not have ownership interest in the RATT marks and that the name and brand was still owned by the members who were part of the original RATT partnership agreement: Pearcy, Croucier, DeMartini and Blotzer. In addition to claiming to have expelled Blotzer from the partnership following the latest court ruling, Pearcy, DeMartini and Croucier said that Blotzer could now only refer to himself as a “former member of RATT,” as per the partnership agreement. Earlier this month, Blotzer — who has been touring the U.S. for the last year with his own version of RATT, featuring a rotating cast of musicians, including vocalist Josh Alan (ex-SIN CITY SINNERS) — and his attorney Drew Sherman addressed the latest legal developments in the RATT camp during an interview with the “One On One With Mitch Lafon” podcast. Despite the fact that a judge ruled that the four-way RATT partnership — and not WBS — still owned the band name, Sherman said that no judgment has been entered either against or in favor of Blotzer. “Essentially, WBS owns the name,” the attorney said. “They — meaning Stephen, Juan, Warren — whatever they’re going out as, they do not have permission to [go out as RATT]. So right now they’re infringing the trademarks of RATT owned by WBS. In should be noted that DeMartini‘s September 2015 lawsuit against Blotzer — in which the guitarist claimed that the drummer was falsely advertising his RATT “tribute band” as the real thing — is still pending in California state court.